These posts should be more frequent, I know. Gamma island mechanics are currently the most complex parts of the game and development dragged out more than expected. But we wanted to get it right this time before we move on to more pressing issues, like the situation on the PvE front. The good news is that the wait is finally over soon: the reworked gamma islands patch will hit the live server next Wednesday, the 17th of September. There are still a few kinks to iron out until then, but these are mainly just small bugs and balancing issues. Testing on the PTS will still go on too (you're welcome to join! ), and here we would like to thank everyone who helped us with feedback, ideas, or bug reports! The new gamma mechanics include a few big changes and a lot of small ones. For simplicity’s sake I’ll only talk about the important ones here, and those who are interested in the details can do so in the “Gamma revamp testing” forum topic, which is fairly comprehensive. Initially we’ll start off with 6 gamma islands - 3 old, and 3 brand new ones. For the new islands we tried to make things interesting instead of following the “big chunk of land”-style, so we have some split landmasses and archipelago-style zones too. Additional islands will be introduced when we see that the demand arises, and we’ll also try to keep them varied and interesting. And although the teleport network for these 6 islands seems fairly symmetrical for now, this won’t be the case as we expand with additional ones, so don’t build strategies around this. 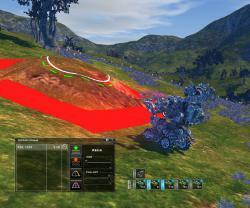 Sky-high “terrain walls” were one of the big problems of old gammas. Although it was nice to see people getting creative, apart from the aesthetic issues it also allowed for near-impenetrable fortresses, which caused a lot of headaches for us and for you as well. No-bounds terraforming was a big issue, so we’re changing this now. Terraforming has now a limit of how steep you can make the terrain. This limit is set between the slope capability of assault and mech class robots, which means that you can’t ever terraform anything where a light or assault bot wouldn’t be able to pass. Unfortunately we have to say goodbye to beacon-terraforming, however much you guys liked it, because we simply couldn’t make it work together with the slope limit (for now at least). So instead we made module terraforming more user friendly, by making terrain tile locking instant, and merging all the different types of terraforming charges into one charge, where you select the type of terraforming method from the new terraforming panel. The second big issue that came up was that we didn’t impose any limits on the number of structures you can build. This not only caused balancing problems (numbers always win), but server and client performance issues too. To remedy this, all buildings connected to the network have a certain bandwidth usage and main terminals received a bandwidth cap. Like some of you, we have also made the observation that gamma colonies are too self-sufficient. Since reactors generated energy out of thin air, you could practically leave your base alone and it worked for an indefinite time, unless someone destroyed it. A big change here is that reactors won’t be generating energy on their own anymore. We’re introducing a new underground resource, which is not so much a mineral, but actually an energy field (that’s what we’re on Nia for, after all). These fields cannot be exploited by regular means; you need to place energy wells on them (a new building type), which will send the raw energy over your network into the reactors, which in turn will convert it to energy usable by all the buildings. Like normal minerals, energy fields also deplete and respawn at random places all the time, so colony managers will need to check on them every few days and look for new energy sources to keep the colony powered. This has been requested for quite a long time now, and now they are here: buildable highway nodes, which will create a strip of speed boosting effect between them. Also a fairly big change is that now you’ll be able to lock and directly shoot deployable walls and all kinds of plants too. We have also created a simple forcefield gate that you can place between wall tiles, and can be opened and closed with a simple click (if you have access, of course). Since this is not part of the gamma colony system, but a simple deployable field device, you'll also be able to use these on Beta islands. Our Early Access phase on Steam has been created with the aim to warn new players about possible server and connectivity issues while we were in the process of moving our servers. Meanwhile, the development of gamma took longer than expected, and since such a large system in the game can bring unexpected performance issues, we have chosen to wait with the closure of EA. But with that done, it will have served its intended purpose by a large margin, so it must come to an end. So after gamma is released and seems stable, we will come out of Early Access and officially launch on Steam. Of course this doesn’t really change anything - we will still continue development and regularly bring in new features and much needed changes. As laid out in a previous blog, first we’ll be doing a rework of the current highway and teleport networks, to speed up travelling in the game. The gamma patch actually includes a related change already, giving a flat speed increase to all robots. Meanwhile we’re preparing a larger balance package for robots, with the aim of boosting smaller classes a bit, and changing some bonuses all around to make certain roles more distinct and logical. Then we’ll move on to the long overdue second stage of the assignment revamp, bringing real variance to the PvE experience in the form of random assignments. NPC spawns have also become a bit of a mess due to all the balancing and mechanics changes over the years, so we are planning a big overhaul for them as well. Later on we’ll still continue with improving the neglected PvE part of Perpetuum. The introduction of energy fields slowly starts to give sense for the actual backstory, and we have a few solid ideas already to make the collection of raw energy not just a gamma-only feature, but an interesting incentive that all players can participate in, from new to old. That’s all for now, and I’ll try to make these reports a monthly thing, promised. It’s been a little more than a month since we’ve launched on Steam, and we’re closing in on 2 months past our payment model change, so it’s high time to do a quick assessment on where we stand, and where we’re going. The best news I can tell you is of course that our playerbase received a much needed boost, thanks to our parting with the subscription model, and the huge visibility that Steam provides. We’ve hit the 600 mark with the online player count on a recent weekend and our average player count is roughly 5 times as before. Of course this is a tiny amount if you compare Perpetuum to other online games, but I have to remind you that we’re still in Early Access so people are wary to join. Also, as we have stated before, we’ve chosen the path of a slow growth instead of spiking it, so it’s all pretty much going according to our plans. We didn’t have any server issues that can be attributed to online player numbers so far either, which is another good sign. I don’t have the freedom to tell you actual financial data, but it should be enough to say that after months (years?) of worrying about what to put on your plate tomorrow, it’s a liberating feeling to have that off of the list of things to worry about, and being able to just focus on making the game better. We have already started to put those financials to good use, so beyond the company-issued Ferraris (by which we mean a second portion of ramen), we have found a brand new hosting location for our game servers. As you probably know, the Perpetuum server cluster (if you can call 3 machines a cluster) is currently located in Budapest, Hungary. This is of course quite optimal for us, but very sub-optimal for most you, as we are hardly what you could call the center of the interwebs. My support ticket inbox is always full of reimbursement requests related to lag and disconnections, and most of those can be probably attributed to various network and routing issues. So after doing the necessary research and inquiries, we have decided to move the servers to a prominent datacenter in Amsterdam. Though technically we’re not moving the machines themselves, but rather renting new ones on location, since we’re very fond of the idea of not having to send in Gargaj to switch a faulty HDD in our self-maintained hardware. To Amsterdam. Without going into too much technical detail for now, compared to the current mixed-role 3-server configuration, the new setup will consist of 5 core machines: 1 server for handling player traffic (logins and zone jumps), 1 dedicated machine for the SQL database, and 3 dedicated machines for hosting the islands, split down between the 3 main factions. Paperwork and technicalities are still in progress, but if things go as planned, you’ll be able to test the new servers within a month. Let’s have a look at the things that we’ll be focusing on in the coming months. Some of these will be done in parallel, but the general order is something like this. With the closing down of gamma islands a huge chunk of the game content has been temporarily removed, so this is our top priority right now of course - we know that you guys are preparing for the mother of all wars when gammas open up again. We are using our public test server to try out all the new mechanics and limitations that we need to implement to make it all work again. We’re taking our time with this because obviously nobody wants another gamma wipe a year from now, and we are grateful to everyone who aids us with valuable feedback and actual testing. More info on the progress of this is coming soon to the relevant testing forum topic. Gargaj is on fire, and we have received an overwhelmingly positive feedback on the small QoL improvements like the autopilot, the storage search, and the many small UI-related changes. We’ll continue on this road, so you can definitely expect more of these. After Gamma is back up, we’ll jump right into doing some long-awaited PvE love: the revamp of the assignments. It’s been a while since we announced this, but better late than never. As you might remember, the second stage is about making the assignments themselves random. We’ll be using an assignment template system where we only set what type of objectives you need to do, but the exact enemy you need to kill, or the item you need to acquire, or the mineral you need to mine will be all randomly selected from a pool of nearby locations, so your chances of seeing the exact same assignment twice will be quite low. Not only that, but we’ll also seed the islands with many small assignment terminals that you’ll be able to use while on the terrain, so you can spare the long walks back and forth to the main terminals just to request or deliver an assignment. We have already deployed the foundations of the paint system in a recent patch (you probably noticed because most of the robots received a white color due to a bug). The coloring system will be definitely not just some “pick a color and be done with it”-thing: we’ll have paint items that you can either gather or manufacture and then mix them together to get the final color for your robot; so basically fully integrate the painting frenzy into the industry and market economy. The topic of long walks is still one of our most discussed issues, and one of the many reasons behind it is the current haphazard teleport and highway system layout. Although we don’t plan to make groundbreaking changes to the teleport network itself, our basic concept for the change is that you should be able to travel between every teleport and terminal/outpost without stepping off of a highway, ever. If you’ve seen the Virtual Training Island, that should be a good indicator of our general direction with this, but we’ll try to even top that. DEV Alf is back from the dead too, so you can expect some balancing changes too. He has already jumped into a hot topic right now: the balance of signal detectors and electronic warfare in general. This is something that we still need to do some research on, but I’m putting it here because we plan to do it sooner rather than later. As you probably know, several games have items that can be traded via the Steam economy already. The general idea is that first you would be able to trade ingame items via Steam, for example your Gropho Mk2 for some trading card or another Perpetuum originated item. 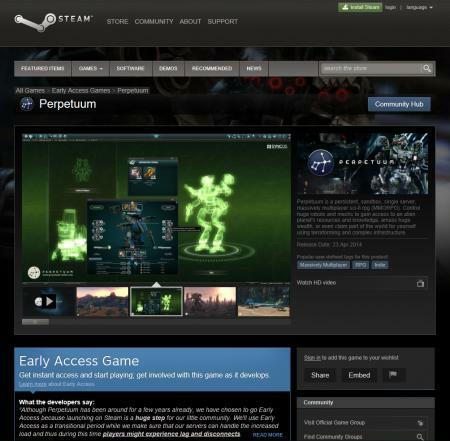 The ultimate goal however is that we’ll also hook up Perpetuum to the Steam community market, where you’ll be able to sell and buy ingame items for Steam wallet funds. We’re approaching this very carefully of course - it could be a large boost to the ingame economy, but things could also go wrong with it. We’re quite aware that the graphics of the game are starting to look dated. Unfortunately the current engine architecture has also become dated, so this is not simply a question of putting in higher resolution textures and models. The engine requires a major rewrite for any significant upgrades. Not to mention the GUI - one of the most frequent complaints we hear is about the small size of the ingame fonts. This is also something that’s very hard to fix currently, since the interface is pretty much hardcoded and not “stretchy”. Text with larger fonts would simply overflow outside of the UI elements, and we’d need to have a completely separate, differently sized interface for that to work - and we’d rather put that effort into a new and advanced interface engine that will work for all display sizes without compromise. For these reasons we’ve been working on the foundations of a completely new client but as you might guess this is not a simple task. At this time we’re still pretty far from replacing our current client, but work towards this goal has been going on behind the scenes for the last year and a half now. Our first goal here is to get basic functionality going (glorified chat client woo! ), which would work as a proof of concept for the new interface engine. Once that’s satisfying enough, we’ll move on to the 3D engine itself. With the new interface tech we developed, the implementation of a new client should go a lot faster than before. Regarding a timeframe, we hope to have something to show later this year, at the very least a partially functional test of the new interface engine. This year marks the 10th year of Perpetuum development, and after an admittedly quite awful last year - which no doubt you noticed as well - the Steam launch has been one of the most important things that happened to the game. We’re adamant on riding this wave and focusing on making a better gaming experience for everyone, which is an easy thing to say, and it’s equally easy to be sceptic about it, but here’s the thing: This project is important to us - and we’ll act accordingly. Feel free to check out our store page - though there is not much to look at yet, but some discussions have already started there. Those who already own the game are now able to link their Perpetuum and Steam accounts on our website and receive a free copy of the game on Steam. We have set up a new Account connections section under account management where you can do this. 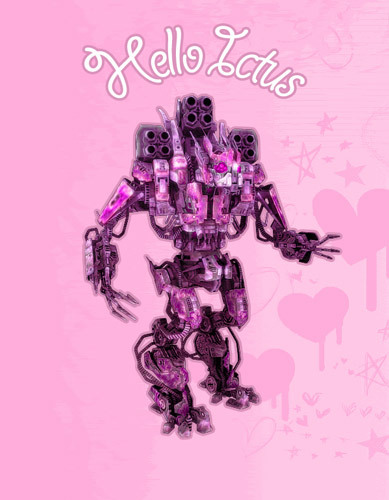 Note that this is only a small gift for our loyal players and future purchases of Perpetuum on our website will not mean that you will also get a Steam key. Since Steam is not a requirement to access the game and will not give players any in-game benefits, we will still be offering Perpetuum through our own store as well. For now Steam access is still in beta stage (earlier than Early Access), so there might still be some small bugs or things missing. The most important information you need to know that the gamma reset will happen a day before the Steam launch, on April 22. Meanwhile we’ve been working on the changes that justify the whole gamma reset in the first place, namely the terraform limitation and the colony building network restrictions. Both of these will be out on the public test server very soon, and we kindly urge you to break it in any way you can. We’re also putting down a mobile teleport next to the TM Alpha terminal on the test server which leads to the gamma test zone, so you won’t have to walk all the way unnecessarily. More info on the testing forum soon. Depending on how testing and development of this goes, the best case scenario is that we don’t shut down gammas at all, but do the reset on the 22nd and you can immediately take it back with the improved mechanics in place. In case we encounter some serious issues during testing, we will still have the reset on the 22nd, but will close down gammas on the same day until we can deploy the changes. Gameplay features always have priority, but Gargaj has been working on integrating Twitch's one-click video streaming into the client whenever he had some spare time, so this is also coming very soon. Complete with Twitch chat integration, Twitch account linking, and eye-twitching Perpetuum video stream overdose! Also, some of you have asked our stand regarding video sharing and monetization, so we've put up a policy page on our website - see here. With the launch of the revamped New Player Experience we’re finally ready to welcome the potentially massive number of new players that being Greenlit on Steam means. It’s been a long road to this point, and we’re excited to see what the future brings. However there’s one last change that we haven’t mentioned before as this one is different from the previous upgrades to Perpetuum. During and since our Steam Greenlight campaign we’ve gathered a lot of feedback from players not familiar with the game. This feedback was overwhelmingly positive, however there was a single recurring complaint that we couldn’t ignore. We’ve thought and talked about this for a long time before coming to a decision, and in the end we decided that the best chance for Perpetuum to grow with this new audience is to do something about the subscription system. On April the 2nd, as a last step in preparation for our upcoming Steam launch, Perpetuum is going to change its payment model. The subscription model will be dropped in favor of a single purchase when players join the world of Perpetuum, and augmented with optional in-game purchases of previously unavailable services and cosmetic upgrades. The price of the single and final purchase of the game will be comparable to 3 months of subscription time in the past: 28.99 USD/EUR (VAT included). In anticipation of the influx of new players, we will suspend our 15-day trial and free reactivation options on the same day. The payment model change combined with our Steam launch is a disproportionately large step for us compared to our recent years, and we want to make sure that we can provide the highest possible quality of service for the players who purchase the game. As a thank you for supporting us over the years and helping us to get to this point, all players who had at least 3 months of game time ever(!) on their account by April 2 will receive Perpetuum for free. The 3 months can be anywhere in the past, reach into the future, be continuous or intermittent, doesn’t matter. We check for redeemed game time codes or monthly subscriptions. We also take ICE into consideration, but it’s important that we count consumed ICE items, and NOT redeemed ICE codes. So if your account currently has had only 1 or 2 months of game time so far, this is your opportunity to extend it to 3 months and get the game for good. The accounts that have less than 3 months of accumulated game time on April 2 will be deactivated, and can only be used again if you purchase the game for the full price. We have set up an eligibility check on our website, so you can verify whether your account has enough months to receive a free copy or not. The system most affected by the change is the EP system. It’s not being removed, and the core of the game will be kept as it has always been, however several adjustments need to be made in order to make it work. First off, for the purpose of easier management, instead of receiving one EP every minute, players will be receiving the EP in daily packages. All accounts which own the game will accumulate Extension Points daily, however this raises the issue of older accounts having more EP without doing anything. In order to avoid the issue of inactive players gathering EP indefinitely, we’re introducing a new rule: EP will only gather on an account for three days after being last online. We’re confident that this isn’t such a big requirement for active players, but it will make sure that inactive players can be caught up to in terms of EP. 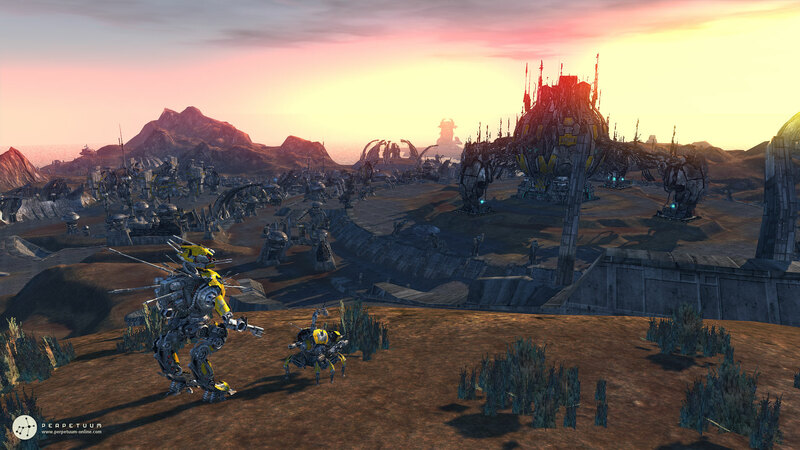 The second major change concerns the level playing field in Perpetuum. The EP system has always been one of the core systems guaranteeing that equal progress can be achieved for all players in the game. This won’t change, however we’re raising the bar a bit: for players willing to support us each month we’re introducing the EP Boost. This service will be available as an in-game purchase and will grant players a 50% boost to all EP earned for 30 days. The pricing of this service will be comparable to the monthly fee we’re replacing. We’ll introduce a new type of currency that you’ll be able to purchase for real money - we’re simply calling it Perpetuum Credits (PC). Activating an EP booster on your account will increase your EP acquisition rate by 50% over the normal rate for a month. It will also make sure that you receive your EP supplement for every day as long as it is active, even if you miss to log in for more than 3 days. Reset the extensions of a character to starting levels, and free up all the EP spent on them. The EP can then be spent again for any character on the account. The EP reset item will also free up all EP penalties caused by character deletions. UPDATE: Based on your feedback and after some internal discussion, we have decided to not offer EP resets for now. The extension downgrade feature might even make a separate EP reset unnecessary, we'll see how people will use it. Currently extension downgrading is only available for 30 days after an account is created. We will remove this limit, and make level-by-level downgrading for Perpetuum Credits available to everyone. Also, there will be no level limit for downgrading, you’ll be able to downgrade even from level 10, down to the starting level of the extension. Makes you able to rename your character. To avoid abuse, character information windows will publicly list all past names. Change the name and short ID of your corporation. This will be only available to CEOs and deputy CEOs. This is only the initial list of items, and we plan to introduce some more in the future, like the long awaited robot paint option. We’d like to stress that these will be only convenience or cosmetic items - no player will get the upper hand in the game by throwing wads of cash at us. Any subscription that spans beyond the day of the payment model switch will be converted to the appropriate amount of PC and added to the account. UPDATE: see a detailed explanation here. We'll roll out these changes to the public test server on March 20, so you'll be able to see how this all works before it goes live. We’d like to quickly address this as well in this blog because the plans for gammas have changed around too many times. So if you haven’t heard about this yet, we’re going to reset gamma islands, with the necessary reimbursements. The reason for this is that we’re changing the rules for terraforming and building limits for a better gamma gameplay and balance, and unfortunately there is no way around a reset. The initial plan was to do the reset before the Steam launch, close down gamma, and reopen it whenever we feel it’s ready. However, we have made considerable progress and we might be able to avoid a closedown. So the current plan is to do the reset and the reimbursement on the day we launch on Steam, and start right away with a revamped gamma experience. If we encounter any showstopper issues connected to this, the reset will still happen on the day of the launch, and we’ll revert to the original plan. Reimbursing buildings and items in them is straightforward because they all have a specific owner. Items will be reimbursed as they are, either to characters (if in private storage), or to corporations (if in corporation storage). Buildings will be reimbursed by returning the foundation item and the appropriate amount of construction blocks. Reimbursing terraforming is the tricky part. There is simply no way to know how much or where an individual character or a corporation has terraformed. Pretty much the only thing we are able to do is a fair approximation based on gamma activity. So the plan is to check which corporations ever had a gamma terminal in the past (counted up until today, to avoid abuse), and we’ll give out a package of terraforming charges for each terminal they have ever placed. Both individual characters and corporations will be able to set a target terminal for the reimbursement within the game. The selection interface for this will be included in the payment model patch. If you miss to set a target terminal, we will use the TM Alpha terminal by default, so nothing will be lost. So when will you actually launch on Steam? - The exact date of our Steam launch will be announced on the day of the payment model patch on April the 2nd. Will I be able to transfer Perpetuum Credits between accounts? Will I be able to trade Perpetuum Credits in the game for NIC? - No, but we’re keeping this option open for the future. My account’s validity is beyond the day of the payment model switch! What will happen to my subscription after that? - Your extra subscription time will be converted to the appropriate amount of Perpetuum Credits and added to your account. See a detailed explanation here. How will I get my free copy of Perpetuum? - If your account had at least 3 months of game time through the years, your Perpetuum account will automatically be converted to a lifetime account on April the 2nd. If you have less than 3 months of game time so far, you can make your account eligible for the free copy at a reduced price by purchasing the missing months in our store until April the 2nd. Check your account status page to verify its eligibility. What will happen to unused ICE items? - ICE will be discontinued and market orders for ICE will be cancelled during the payment model patch. Then, all ICE items in private storages and cargos will be converted to the appropriate amount of Perpetuum Credits and added to the owner's account. ICE in corporation storages will be converted and added to the account of the CEO, so make sure you move out any ICE items to personal storages if this doesn't fit for you. What will happen to recurring subscriptions? - All recurring subscriptions will be stopped on April the 2nd. Feel free to ask any questions you might have in the comments and we’ll include it here! Details about the Steam launch and everything you need to know about it will be announced after April the 2nd.